The Education Committee is scheduled to meet on Tuesday, Nov. 17, to talk about what changes need to be made to the school consolidation law after a repeal effort failed on Election Day. Also on the agenda are pending state budget cuts to education – a picture that could get worse when the state’s Revenue Forecasting Committee meets on Nov. 20 to officially declare the size of the state revenue shortfall. Committee chairs acknowledged that regardless of the outcome of the Nov. 3 election, the consolidation law needs to be amended to deal with ongoing problems. In order to make sure that happened, a concept bill – An Act to Improve the Laws Governing the Consolidation of School Administrative Units – was carried over from the last legislative session to serve as a vehicle for proposed changes to the law. Among topics that are expected to be discussed Tuesday are what to do with penalties that are scheduled to go into effect on July 1, 2010, for non-conforming units; reducing the minimum size for districts allowed under the law; giving communities a way to get out of a new regional district; providing state aid numbers to each community in an Alternative Organizational Structure (AOS); and, eliminating the budget validation referendum requirement. 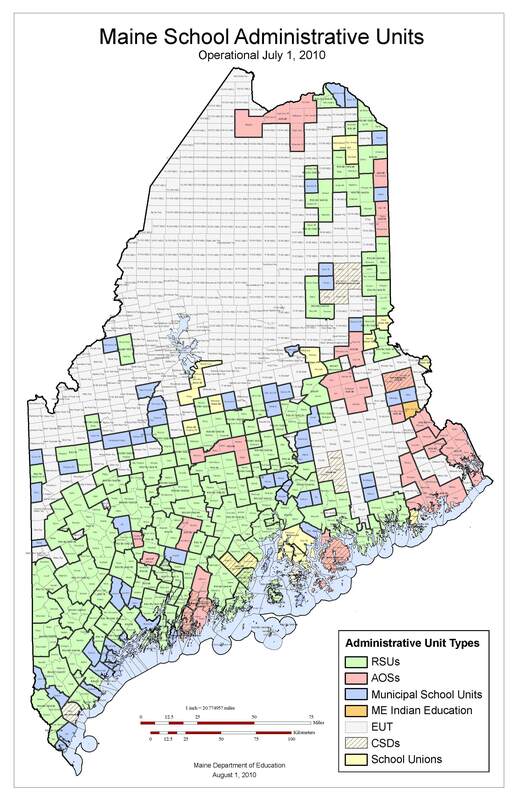 There also has been a push by some to allow other forms of cooperation among districts that result in cost savings to be considered as legal alternatives to full-blown consolidation. Skip Greenlaw, a school board member from Stonington and leader of the repeal movement, has been asked to testify on how to improve the law, along with Supt. Roger Shaw of MSAD 42 in Aroostook County and Supt. Quenten Clark of MSAD 58 in Franklin County. Commissioner Susan Gendron also will make recommendations to the committee on what changes she believes are needed. Richard Spencer, Esquire, of Drummond Woodsum, has also been invited by the committee to make comments about possible legal changes. The morning discussion will center on cuts to K-12 education that will be proposed in a supplemental budget to help fill a growing state revenue gap. The gap was pegged at $200 million in October, but that could be revised upward by the end of next week since state income and sale tax collections have continued to drop. Education’s share of the $200 million gap was estimated at $38 million in this current fiscal year and $36 million next year. There also was a $30 million hole built into the existing budget that legislators had hoped to fill by making structural changes throughout government. 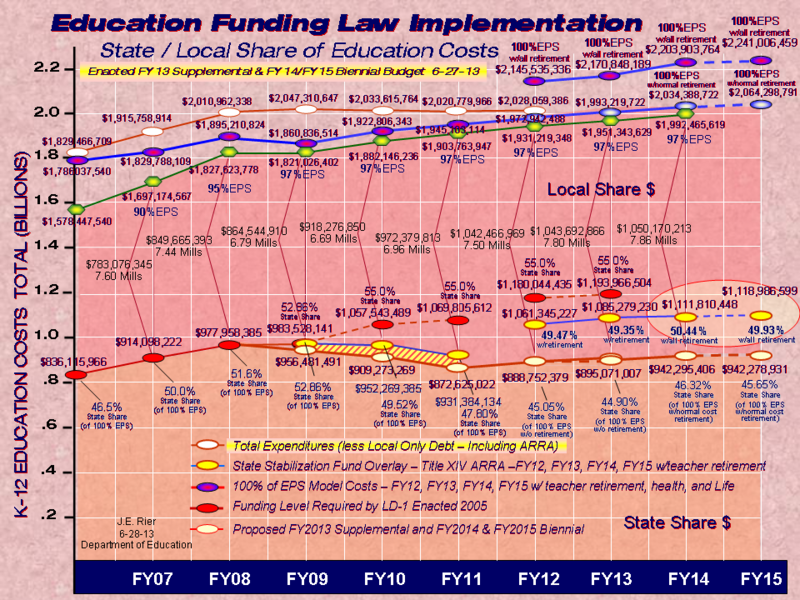 To date an estimated $20 million has been found by the Appropriations Committee without affecting education funding. Toward the end of the day, the committee will receive updates on the work being done on high school graduation requirements and the Response to Intervention initiative.